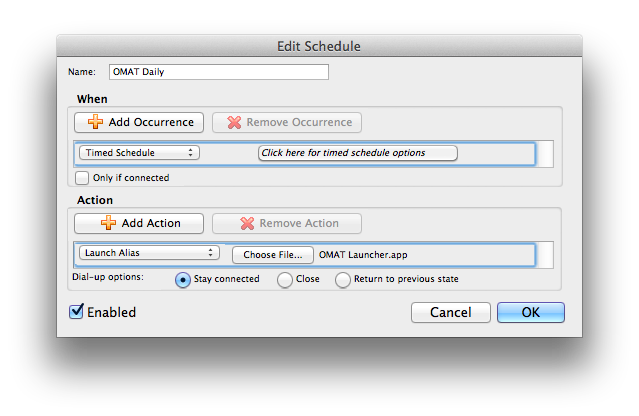 This guide provides an example of using the ‘OMAT background launcher’ application with a 3rd party scheduler such as the one built in to Outlook. 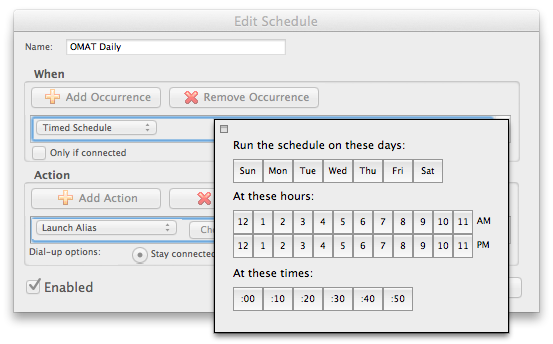 The application ships with the Outlook Mac Archive Tool as utility for running the archive process in the background. Don’t select the Outlook Mac Archive Tool.app. Rather use the the ‘OMAT Background Launcher.app’. Upon each activation by the scheduler, it will run an archive process once in the background (per your current configuration) before shutting down.